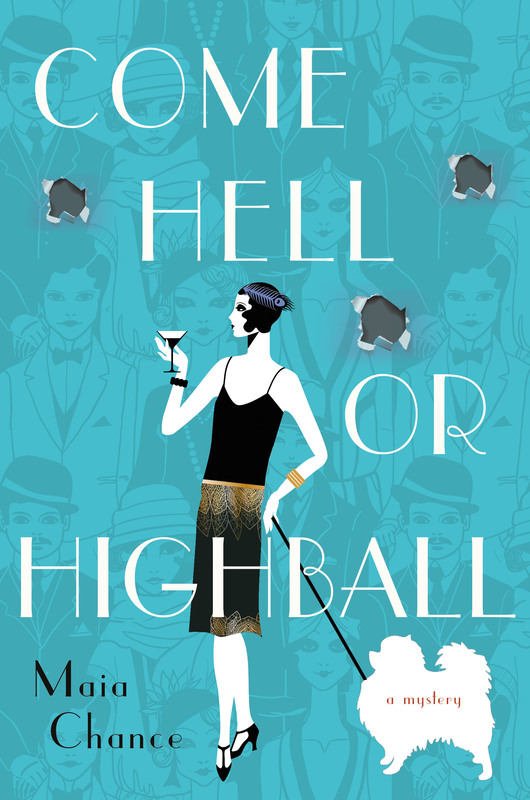 While Auntie M is off on the first leg of a book tour for DEATH UNSCRIPTED (now available from Bridle Path Press or on Amazon, soon to be Kindle), please welcome author Maia Chance and her third mystery: Come Hell or Highball, to talk about forcing creativity. And be ready for a treat, folks–this is cute! as that you can deliberately mobilize or even, under pressure, force yourself to be creative. Sounds so . . . inartistic, doesn’t it? I mean, what about the fairylike muse and her feelings? Forget her. When you have work to do, creative work, and if you’ve got deadlines looming, you need tools, not temperamental pixies. What I took away from all my time in Odyssey of the Mind (which is evidently still going strong) is that if you can’t think of a new idea, you can sort of smush two things together, and if you push hard enough, voilà!, there’s your fresh new idea. It’s like plate tectonics creating new mountains ranges. It’s mash-up. Pastiche. Synthesis. Synergy. And this is, at its heart, what I think the creative process really is. Although our culture clings to a fantasy of an independent genius who is capable of reinventing the wheel (and isn’t that the Apple company’s whole shtick? ), older ways of Making Stuff were more communal. Fairy tales, for instance, rarely have a single author but are instead the culmination (still going on today!) of long traditions. Some historians even think that Homer was (is?) really an amalgamation of an oral tradition. And really, anyone working inside a genre is simply building upon and tweaking the ever-changing conventions and reader expectations of their genre. Cozy mystery writers like me have Agatha Christie omnipresent, hovering over our writing desks like the North Star. Borrowing is kind of . . . wimpy. Borrowing is tentative and all “I PROMISE I’ll give it back and I won’t rip it or stain it. You’ll never even notice it’s gone!” Borrowing results in things like those Sweet Valley High books, all written by different people but with Created by Francine Pascal stamped on their covers. Ugh. On the other hand, stealing means you take it and make it your own, with audacity and aplomb. You don’t give it back because you can’t give it back, because by the time you’ve had your way with it, it’s unrecognizable. Speaking purely for myself, I am wholly incapable of producing anything, and I mean anything, out of thin air. Instead, I absorb, fragment, synthesize, and repeat. Over and over. Until I have something to work with. Maia Chance writes historical mystery novels that are rife with absurd predicaments and romantic adventure. 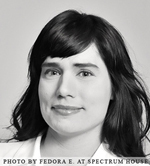 She is the author of the Fairy Tale Fatal and The Discreet Retrieval Agency series. Her first mystery, Snow White Red-Handed, was a national bestseller and her latest releases are Cinderella Six Feet Under and Come Hell or Highball. Oh, a creative influences include P. G. Wodehouse, Janet Evanovich, Are You Being Served?, Agatha Christie, Nathaniel Hawthorne, M. C. Beaton, The Real Housewives of Orange County, and F. Scott Fitzgerald. 31-year-old society matron Lola Woodby has survived her loveless marriage with an unholy mixture of highballs, detective novels, and chocolate layer cake, until her husband dies suddenly, leaving her his fortune…or so Lola thought. As it turns out, all she inherits from Alfie is a big pile of debt. Pretty soon, Lola and her stalwart Swedish cook, Berta, are reduced to hiding out in the secret love nest Alfie kept in New York City. But when rent comes due, Lola and Berta have no choice but to accept an offer made by one of Alfie’s girls-on-the-side: in exchange for a handsome sum of money, the girl wants Lola to retrieve a mysterious reel of film for her. It sounds like an easy enough way to earn the rent money. But Lola and Berta realize they’re in way over their heads when, before they can retrieve it, the man currently in possession of the film reel is murdered, and the reel disappears. On a quest to retrieve the reel and solve the murder before the killer comes after them next, Lola and Berta find themselves navigating one wacky situation after another in high style and low company.